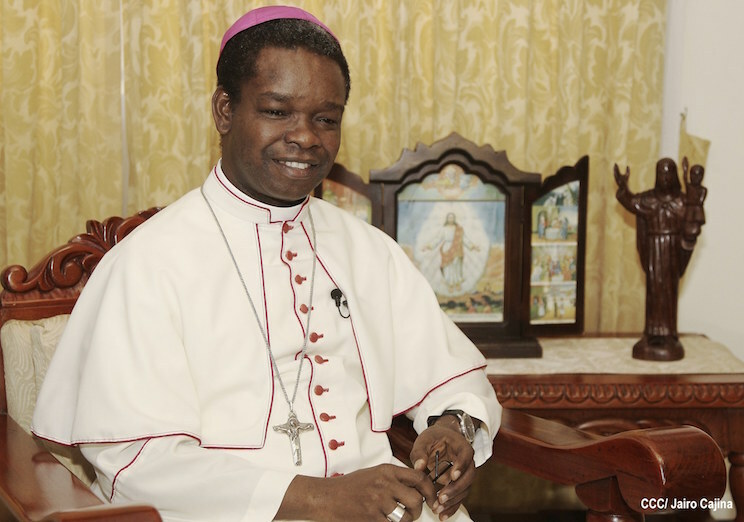 The Holy Father, Pope Francis, has appointed His Excellency Most Rev Fortunatus Nwachukwu, Titular Archbishop of Acquaviva, presently Apostolic Nuncio in Nicaragua, as the new Apostolic Nuncio of the Antilles Episcopal Conference. Archbishop Fortunatus Nwachukwu was ordained a priest on the 17 June 1984, with incardination in the Diocese of Aba (Nigeria). He possesses a Doctorate in Dogmatic Theology and a Doctorate in Canon Law. He served in the Apostolic Nunciatures – Holy See Embassies in Ghana, Paraguay, Algeria, at the UN Offices and Specialised Institutions in Geneva, and at the Secretariat of State at the Vatican – Section of Relation with States. Between 2007 and 2012 he was the Chief of Protocol of the Secretariat of State (Vatican). His first assignment as Head of Mission was on 12 November 2012 as Apostolic Nuncio (Holy See Ambassador) in Nicaragua. Archbishop Nwachukwu speaks English, Spanish, French Italian, German, Jewish and Arab.